Why fit in when you can dance to your own beat? I always find it somewhat of a shame when a movie that has everything going for it falls flat on its face. 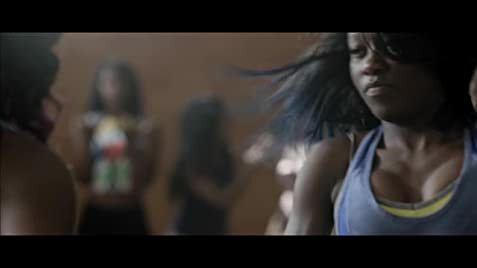 That's what happens in "The Fits". The description here on IMDb properly describes the movie. Unfortunately the movie itself does little more to take it beyond that description. The directing and acting is excellent, especially by lead actor Royalty Hightower. She is not alone, backed up by some excellent casting for the parts of her best friend and her brother. Were this a simple slice-of-life movie it would be acceptable and interesting. But it doesn't qualify as such. 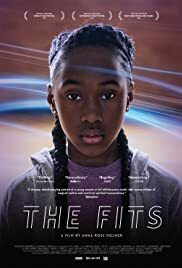 It takes the viewer down a specific road of semi-realistic insight into the life of a black adolescent girl, then throws that all out the window with what can only be described as a plunge into script-writing and directing self-indulgence. I always wonder how so many people can be involved in creating a work like this without someone stepping up and saying, "Hey, has anyone noticed the plot line stinks?" At the end, the viewer is left asking, "What was that supposed to be all about?". The result is a mixture of enjoyment, shock and disappointment as we realize yet another movie with potential has been flippantly cast to the canines. Yes, pun intended. You'll need some humor after watching this.